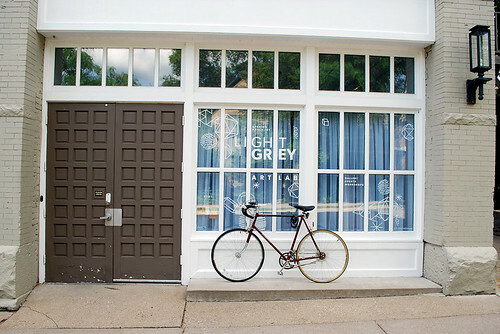 This past Sunday we held a super fun and exciting even at Light Grey Art Lab; Urban Sketchbook: Local! 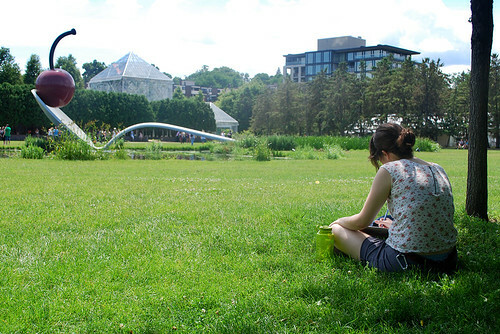 Led by Francesca Buchko, the Urban Sketchbook Workshop is an excuse to draw with other artists, explore our fine city, and ride sweet bikes! What could be better? Nothing! 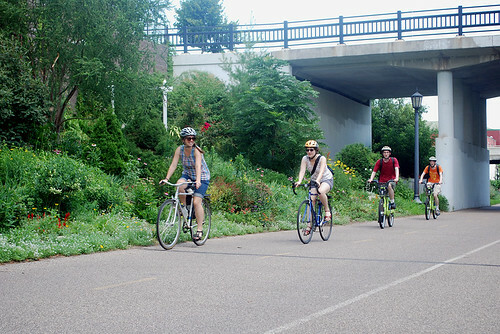 After a quick bit of instruction at Light Grey Art Lab, the group headed to Lake of the Isles via the Greenway (Minneapolis' amazing bike-only mini-highway). 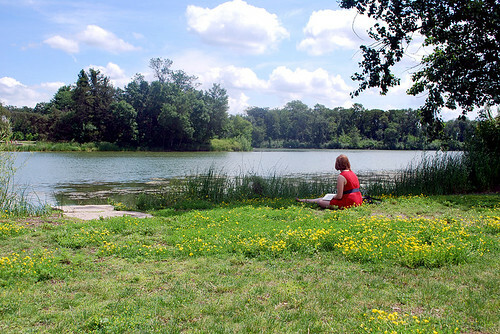 At Lake of te Isles, there was a quick drawing demo, followed by a little time to do some observational drawing. 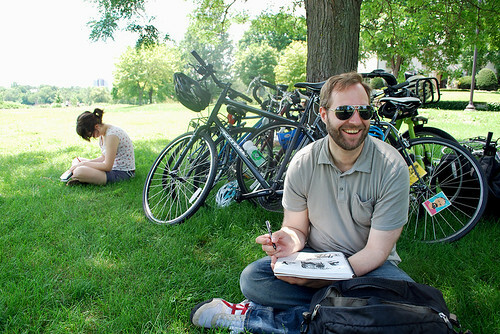 It was quite hot, so everyone found their own spot in the shade and churned out some great drawings! 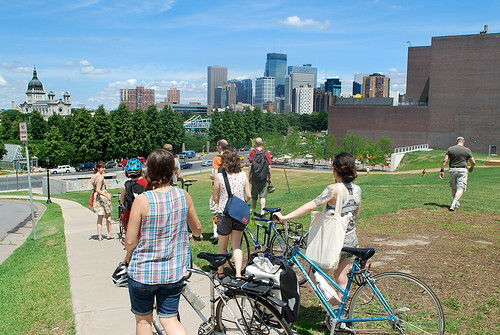 From there the class headed to the nearby Walker Sculpture Garden. 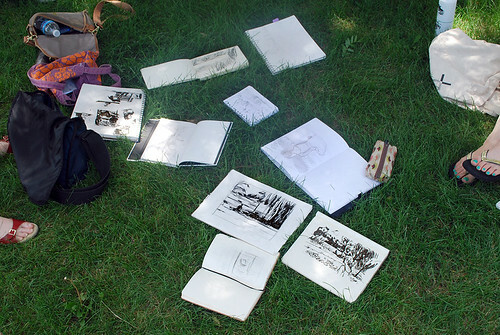 After another quick demo, the class was free to explore the garden and draw whatever suited them best! The final stop of the day was Sebastian Joe's where the class cooled off with some awesome ice cream, talked shop and drew the people and sights of Uptown! 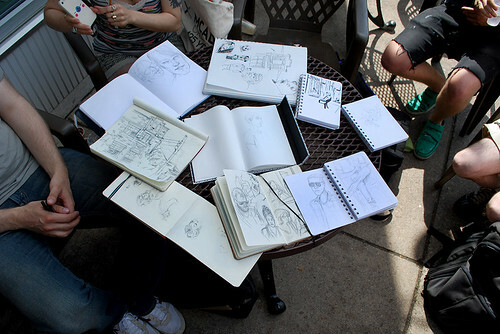 The first Urban Sketchbook Workshop was a huge success and a great excuse get out, explore and observe our great city of Minneapolis! Hopefully we'll have more news about future events soon! 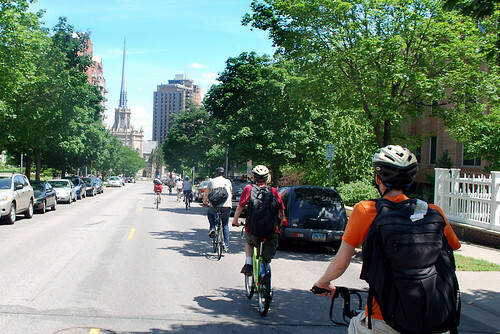 And be sure to check out all the photos from the trip in our flickr set! There were so many I wanted to share, it was hard to choose!